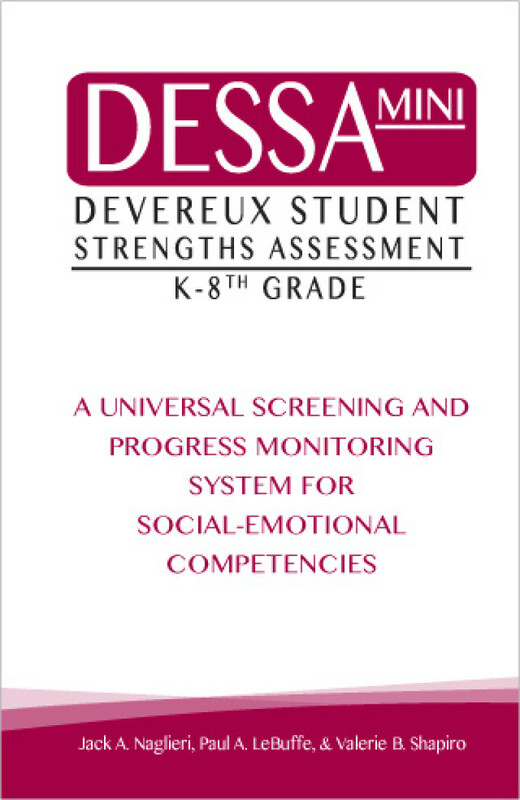 The Devereux Student Strengths Assessment-Mini (DESSA-mini) is a universal screening and progress monitoring system that is completed by teachers/after-school providers. It provides a brief summary of children's current overall social-emotional competence to determine if additional skill development should be a priority. The DESSA-mini is a screening tool. The DESSA-mini is used only to identify which children may need further observation or assessment. There are four parallel forms with 8 items each that can be used to screen children. 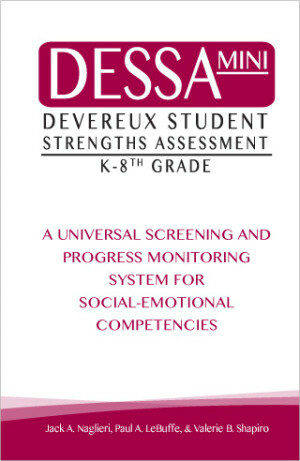 For a full assessment including scale scores and a Social and Emotional Composite, use the DESSA. The DESSA-mini consists of four 8-item parallel forms that are standardized, norm-referenced, and screen for social and emotional competencies related to resilience that serve as protective factors for children aged 5-14. Each of the four 8-item parallel forms takes a sample of items from the following scales on the DESSA (although not all scales are represented on each form): Self-Awareness, Social-Awareness, Self-Management, Goal-Directed Behavior, Relationship Skills, Personal Responsibility, Decision-Making, Optimistic Thinking. Having four parallel forms allows for repeated administrations and progress monitoring throughout the year.